Not far from the town of Lovech, in the eastern direction, lies the beautiful and picturesque village of Krushuna. 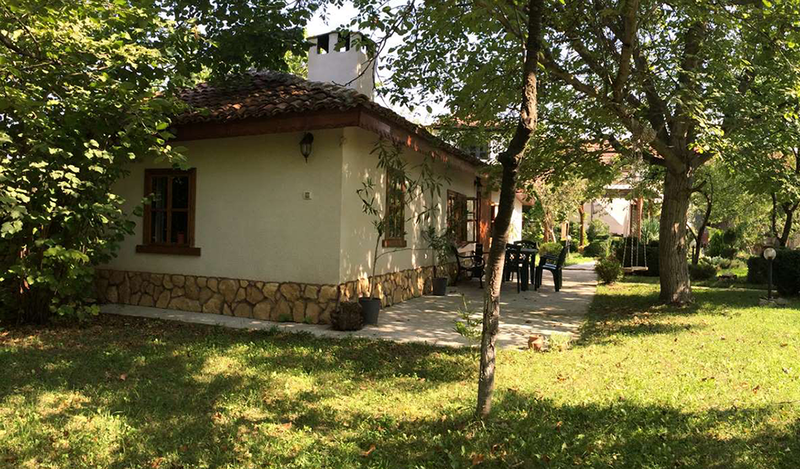 Situated on the Devetashko plateau, the village is situated on the border of the Balkan Mountains and the Danube Plain, as if perched on the last mountainous heights with open panorama to the Osam River flowing north. 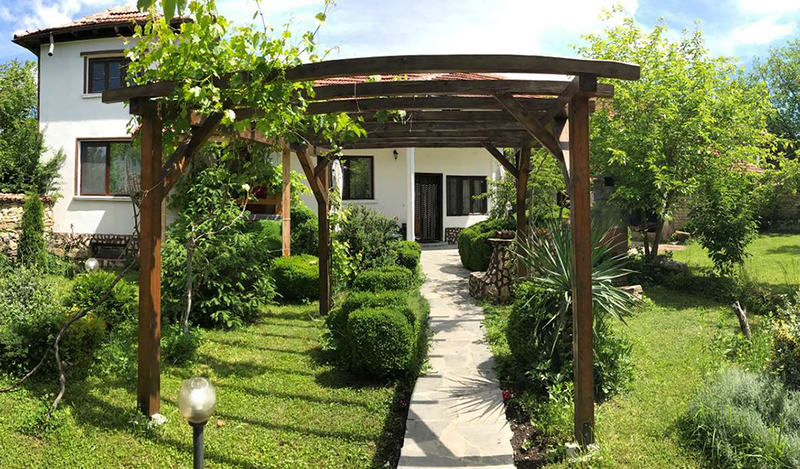 Nestled in the Stara Planina slopes, the village of Krushuna offers a wonderful place for rest and relaxation with its cool climate through the summer heat and the mild and warm winters. Situated along the middle course of the Osan River, the village is surrounded by gushing rivers and water springs spreading cool and fresh, giving life to lush and exotic vegetation. When the Slavs settled in these places in the 5th-6th century, they called the newly-founded Korshoun Village. He was baptized on the falcon Korshun, also known as Canyon or Canyon. Until the 10th century, the village retained the name Korshoun, but today it is now known as the Crown. In the whole area around the village of Krushuna, numerous testimonies have been found of a rich historical past. 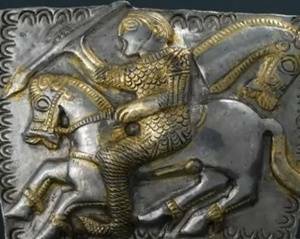 As early as the 5th century BC, the entire territory was inhabited by the Thracian tribe of the Oscidentans, as witnessed by one of the most valuable treasures found in these lands – Letnoshko. The preserved fortress remains in the south of the village of Krushuna testify to the presence of the Roman civilization in these lands. During the Middle Ages, the rocks in the area were inhabited by Hesychasts – rocky monks who lived in cells and niches cut into the rocks. Visitors can still see the rock niches and cells that were inhabited by the monks. The ancient traditions of the 13th-14th century tell of a mystical place where anyone who wanted strong enough could achieve unity with God. The monks believed that if they did a special ritual there, they would touch God’s love. The ritual included: placing the body in a special position, holding the breath, and continually repeating Jesus’ prayer. Their faith was so strong that they built a monastery in the rocks around the place-its remnants can still be seen today. Through abstinence, silence, prayer and contemplation, the clerics tried to restore the lost connection of man to God. Today we call this teaching Ishisham. This mystical place, about which the traditions tell that it is a way to God, is today’s village of Crosuna and the surrounding area. What makes Krushuna village attractive to many tourists is the exceptional natural landmarks in this virgin and beautiful transitional mountain end. The limestone and karst rocks that make up the terrain are prerequisites for the formation underground of a number of caves and other bizarre rock formations on the surface – swirls and birches. 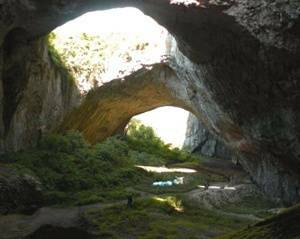 Of the 30 caves with a length of over 1000 m in Bulgaria, five are located in this region. These are the Bonini cave (4530 m), the Devetashka cave (2442 m), the waterfall (1995 m), Uruska maara (1600 m) and Gornik (1080 m). In Bonin’s cave is the largest underwater lake in Bulgaria, making it the longest water cave in Bulgaria. In the other two caves – Waterfall and Gornik also have beautiful underground lakes with crystal clear tear water. 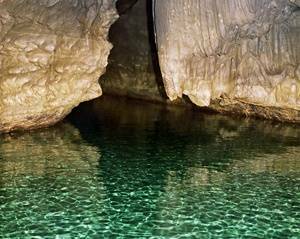 These are water caves formed in the limestone rocks that are characteristic of the region. Cave “Waterfall” is the second largest and perhaps the most beautiful water cave in Bulgaria. Krushunski cascading waterfalls that spring from the cave are the largest water travertine cascade across the country – 15 meters. They were formed over 420 centuries ago. A very convenient eco path is built to visit the Krushuna Waterfalls, making them easily accessible. 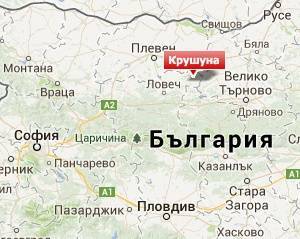 Recently, they are a favorite destination for tens of thousands of Bulgarians. It is worth seeing a man because it is one of the wonderful places in our country. The largest and most popular of the caves in the region is the Devetashka Cave, which is situated on the banks of the Osam River, 15 km from Lovech and 20 km from Krushuna. The cave was opened in 1921. It is known for having the largest entrance of all the caves in Europe. Its length is 2442 m and visitors are particularly impressed by the imposing vaults of the entrance. There is the largest bat species in Bulgaria and is one of the three most important underground dwellings of bats in Europe, which is why from June 1 to July 30 the cave is closed for visits. 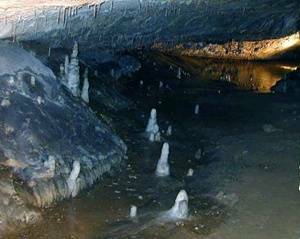 In addition, it can be seen breathtaking stalactites and stalagmites. In the last years Devetashka Cave became an attractive place for the cinema industry, becoming a shooting ground for not one of our own and Hollywood productions. All the caves on Devetashko Plateau are a center of attraction for many of our cavers and foreign cavers who have been gathering for years in tents in the beautiful places around the village of national caves. 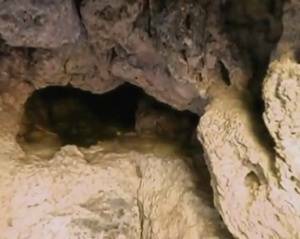 Although the caves are not touristy, there are accessible portions in the prewriter that would allow you to peer into their serene world and to touch their virgin purity. 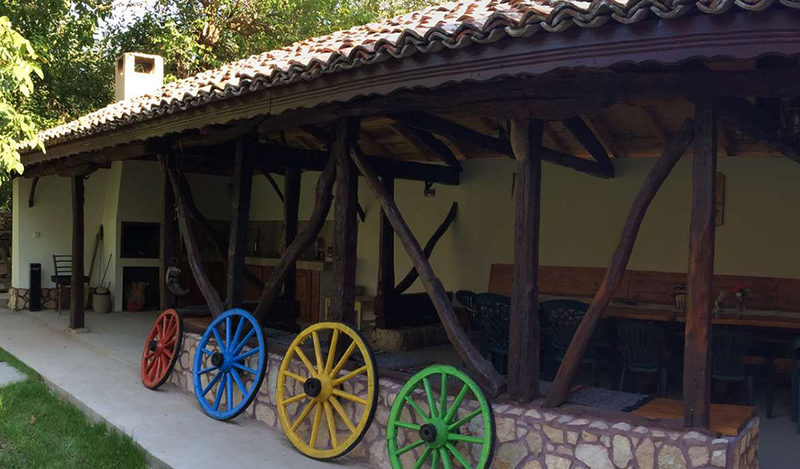 In Krushuna village you can find professionally trained guides as well as suitable equipment for such a sightseeing tour of the beautiful karst caves in the region. 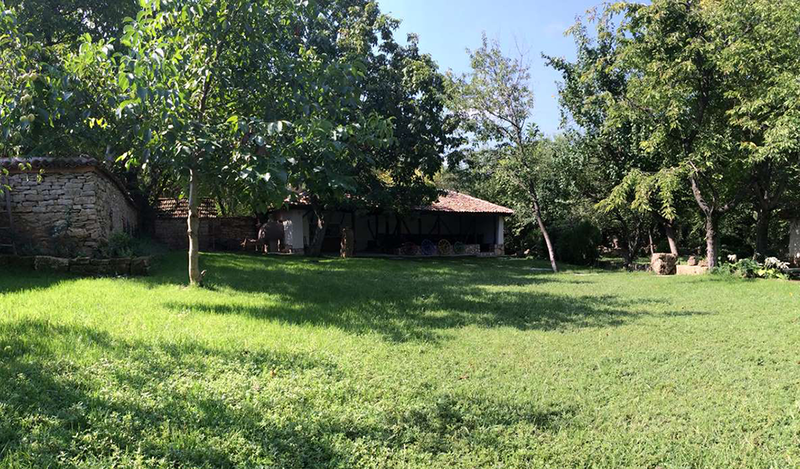 In Krushuna village and the surrounding area there are many opportunities for entertainment and pleasant experiences to leave lasting memories for every visitor. We have already mentioned the attractions offered by the mountains among caves, waterfalls and virgin forests. 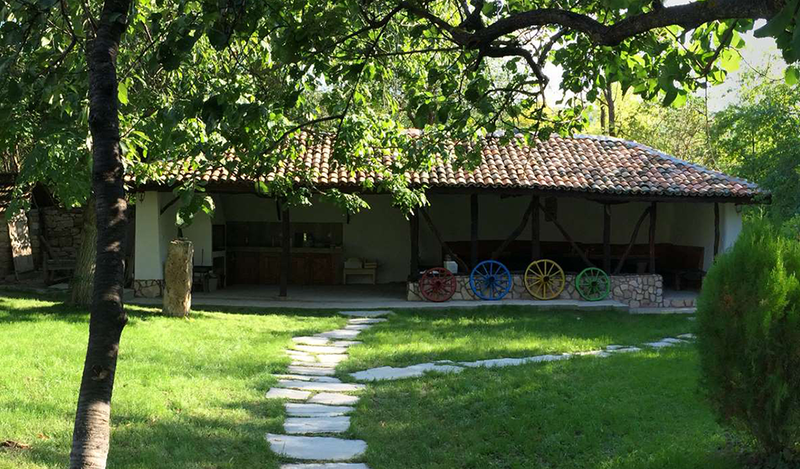 But if you stay for a few days with sleeping in the village of Krushuna surely you will not have time for boredom, because the hospitable hosts offer a number of other attractions that would fill your time. 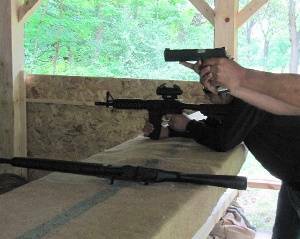 Small and large can try their exact sight in the shooting. The artillery has replicas of guns and pistols that will make you really feel what it is like to hold a gun in your hand. Middle Ages lovers can sample archery. The “Baba Yaga” rope garden is another fun for both small and large. 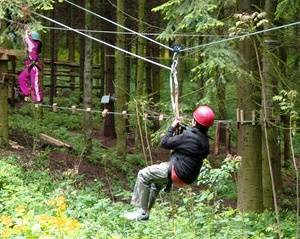 The ropes are stretched between the trees to test your balance, courage and dexterity. The great ones will return to their childhood when they climb the trees. 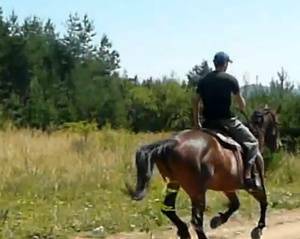 Another enjoyable activity offered in Krushuna is horseback riding. Since this is a fun that is not happening it is often good to take advantage of it. You can take a walk around the secured paths, but if you are not so brave, you can make tours in the enclosed area. If you choose a horse ride, the safety of the trip is provided by experienced guides that will accompany you and show interesting paths in the vicinity. 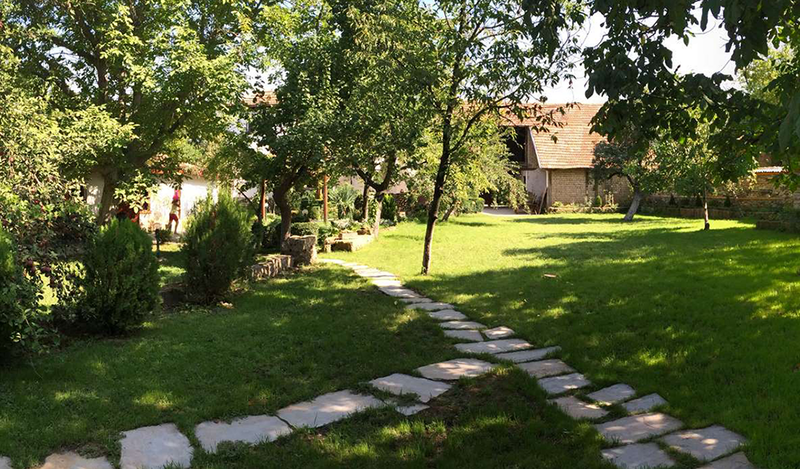 For more than a decade, schools in Bulgaria have had the so-called “Green School”. Children go to different parts of the country, usually in the mountains, to learn useful things about nature and its conservation. 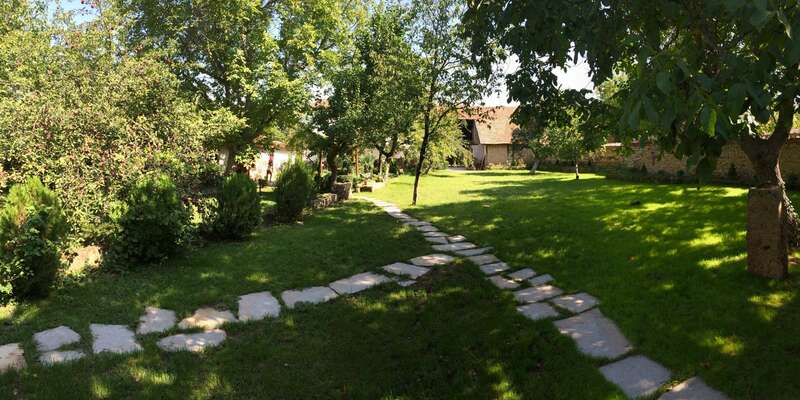 The village of Krushuna is a very suitable place for “green school”, so there are similar events. There are many attractions in the vicinity that will enrich the children’s knowledge of nature. Children will be able to enjoy the Krushuna waterfalls – some of the most beautiful and attractive waterfalls in Bulgaria, which are very close to the village, and the cost to them is completely safe and accessible to children groups thanks to the built eco-path, thanks to which to go through the entire water cascade and reach their springs. Short walks can be organized, organized by speleologists, to the most accessible and beautiful places in the surrounding caves. For these expeditions, children are equipped with special cave suits. They learn about the foundations of the cave and the history of the formation and formation of the caves, their construction and inhabitants. So they will make their first steps in speleology. As part of the Green School for Children, a number of interesting and educational activities are organized. Some of them help them learn important knowledge about how to cope and survive in different situations. Specialists teach the children of main alpine nodes and rope handling in different scenic scenes built in the mountain. Everyone knows how important it is to know how to give first aid to an injured person. Here children learn how to give first aid to an injured person, how to do it on their own and place a bus on a broken or broken limb. Survival in the mountains is also related to the ability to fire and keep fire safely, which is among the other useful things that children learn in improvised game situations. One of the children’s favorite activities is horse riding. Under the care of a specialist, children enjoy riding trained horses. Riding helps to unburden physical and mental tension. Strengthens the muscles of the legs and back, and also develops children’s love for the animals. For fun, testing the strength, agility and balance of the children, the rope garden “Baba Yaga” was built. Under the supervision of helper children try to overcome the route from tightly stretched ropes high among the trees. Various obstacles have been built, the difficulty of which increases gradually. Everyone who has come to the end has the satisfaction and pride of himself. Here the children learn not to give up until they reach the end. It can be said that the “green school” in Krushuna is something the children will remember long and will keep pleasant memories along with the important things they have learned. Whether you stay in Krushuna for a day or a few days, this time will be permanently printed in your memory and you will always come back to it with a smile and a desire to repeat these unforgettable moments. 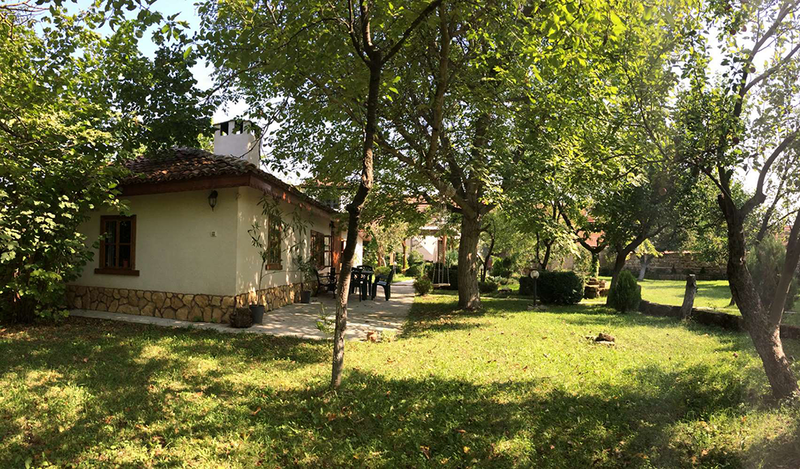 If you decide to stay in the village and the surrounding area has a lot of guest houses where you will find everything you need for your coziness and a pleasant escape. Farmers with a smile will tell you “welcome”.